White Dwarf star - Solar System Planets And Moons Section. 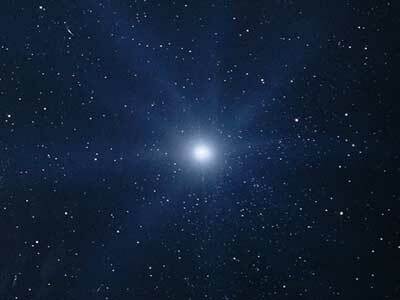 Astronomers have found a White Dwarf star. International Space Station Air Leak Found. Engineers have nearly gotten to the bottom of the problem that forced spacewalkers to abort their trip outside the International Space Station last week. The primary oxygen bottle on Mike Fincke's Russian-built Orlan spacesuit lost pressure much more quickly than expected, so he and cosmonaut Gennady Padalka were ordered back in the station after only 14 minutes. Russian specialists are focusing on an injector switch that increases the flow of oxygen into the spacesuit. The crew should be able to repair the problem themselves, and use the suits when the spacewalk is rescheduled. Perseids Should be Good This Year. If you're planning your summer vacation, you might want to see if you can get your family outside of the city on Thursday, August 12 to enjoy the annual Perseid meteor shower. This year will be especially good because the Moon won't be around to brighten the sky. We might also be passing through a newer filament of dust ejected from Comet Swift-Tuttle, which is responsible for the meteor shower. Observers in North America should be might be able to see up to 200 meteors an hour when the Earth passes through this filament, in addition to the regular 40-60 meteors/hour we see every year. White Dwarf Star Just Shut Down. Astronomers have found a White Dwarf star which has shut down its fusion reactor very recently - perhaps only 100 years ago. By probing this star with the Chandra X-Ray Observatory and the Far Ultraviolet Spectroscopic Explorer (FUSE), Astronomers see that its heart is completely stripped of Hydrogen and helium; the surface is largely carbon and oxygen, heated to 200,000 degrees. Nothing like this has ever been seen. Our own Sun will eventually become a star like this, after it has expended all of its Hydrogen fuel. Cassini's Best View of Titan Yet. NASA's Cassini spacecraft has turned its gaze on smog-covered Titan again, delivering its best picture yet of Saturn's largest moon. This image was taken on June 14, 2004 when the spacecraft was 10.4 million km (6.5 million miles) away; it's three times as much resolution as the previous image of Titan released a few weeks ago. Cassini took the picture using a special filter designed to see through Titan's atmospheric haze of methane to the surface below.